A change in the belgian copyright law allows the authors of scientific articles financed by the public sector, to retain the right to make their article available in Open Access even if otherwise stipulated in their contract with the publisher. Published the 5th September 2018, this law completes and reinforces the recent decree of the fédération Wallonie-Bruxelles (FWB) which requires the deposit in open access of scientific articles in institutional directories. This rules also apply to every article published before the publication of the law. 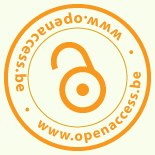 Posted on September 13, 2018 September 13, 2018 by openaccessbelgiumPosted in English, NewsTagged author's right, belgium, copyright, open access policy, publishing.